Monday - 22 April 1925: George Cole is born in Tooting, and given up for adoption. He would become a successful film and television actor, arguably best known for his role as used car dealer Arthur Daley in the TV series 'Minder'. Tuesday – 23 April 1979: 33-year-old teacher Blair Peach dies from head injuries following outbreaks of fighting with police at an Anti-Nazi League demonstration against a National Front meeting in Southall, West London. Wednesday – 24 April 1993: A massive IRA bomb explodes on Bishopsgate in the City of London, killing one person, injuring 44 more, and causing more than £350m damage to the area. Thursday – 25 April 1957: Eric Bristow is born in Hackney. He would become a successful darts player, winning the world championship five times, and being nicknamed 'The Crafty Cockney'. 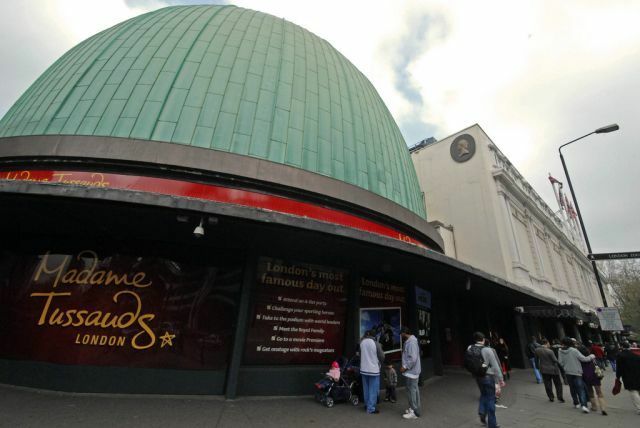 Friday – 26 April 1928: Following extensive fire-damage to its previous incarnation, a newly reconstructed Madame Tussauds museum on Marylebone Road opens to the public. It would become one of London's more popular tourist attractions. Sir, the noblest prospect that a Scotchman ever sees, is the high road that leads him to London. Picture by 'Chris' via the Londonist Flickr Pool.